Slight of Hand is made of 1/8" aluminum sheet. It is welded together. The surface is ground in a "curley-cue" pattern to catch the light. It has a clear coated finish. It was on display at the Cornell College President's Invitational Exhibition in Mount Vernon, Iowa, during the month of October 2005. 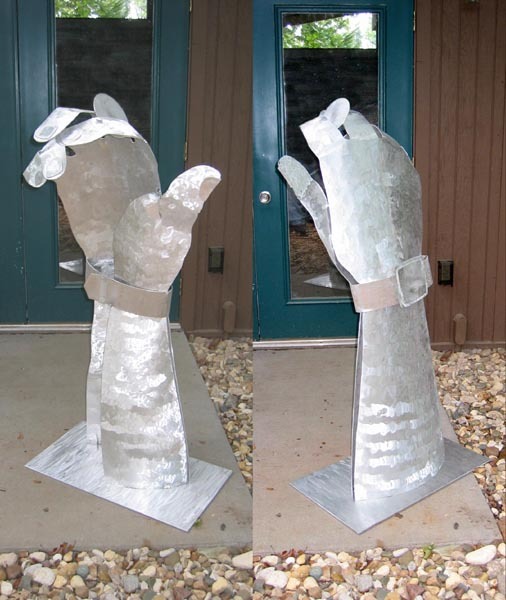 It was also on display in the Sculpture on Second Exhibition in Cedar Rapids, Iowa and in 2009 at the Art Around the Corner Exhibition in Downtown Ames, Iowa. 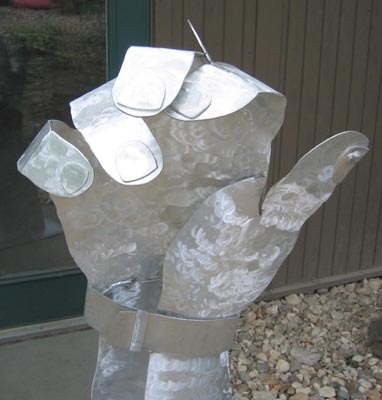 It was purchased by the City of Ames for their Art in the Neighborhoods program. Location Purchased by the City of Ames for their Art in the Neighborhoods program.